Based on its huge success in the first two years, the San Diego Museum Council is proud to bring back its popular "Kids Free in October, presented by Time Warner Cable," back for a third year inviting families to enjoy free kids' admission to 38 museums across San Diego County with an adult ticket purchase. To take advantage of the offer, visitors must download their free coupon online for each museum they wish to visit this October. 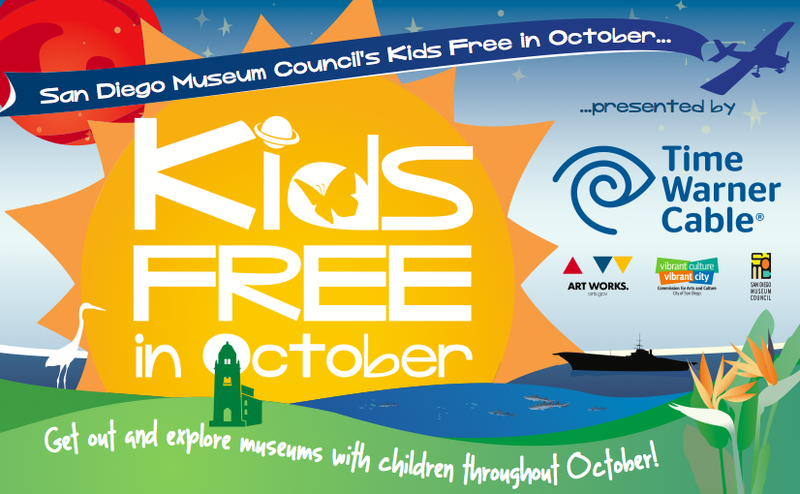 Kids Free in October showcases the area's rich exhibits at San Diego Museum Council member museums. In 2012, more than 10,000 families took advantage of the "Kids Free in October, presented by Time Warner Cable" with attendance expected to increase in 2013. Families can challenge themselves to visit all 38 museums over the 31 days in October to experience a variety of exhibits. 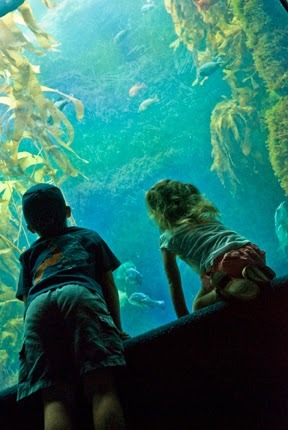 Don't miss experiences such as interacting with the living tide pools and observing seahorses and sharks at Birch Aquarium; viewing the latest art exhibitions at the Museum of Contemporary Art San Diego; exploring the U.S.S. Midway's new family audio tour taking youngsters on an entertaining exploration of more than 30 locations aboard the aircraft carrier; and Ruben H. Fleet Science Center's interactive exhibits for parents and kids, such as Explor-O-Rama, which gets "your hands on science" with all time favorites where kids explore mechanics, motion, and other interconnected areas of science on nearly 30 exhibit activities. "Time Warner Cable is proud to bring this experience to children throughout San Diego County," said Kim Latour, Director of Community Investment. "Kids Free October is a tremendous opportunity that perfectly coincides with our Connect A Million Minds program, a five-year, $100 million cash and in-kind philanthropic initiative to help promote education in science, technology, engineering and math. We hope that all will take advantage of this local opportunity to engage the curiosity and imagination of our children." 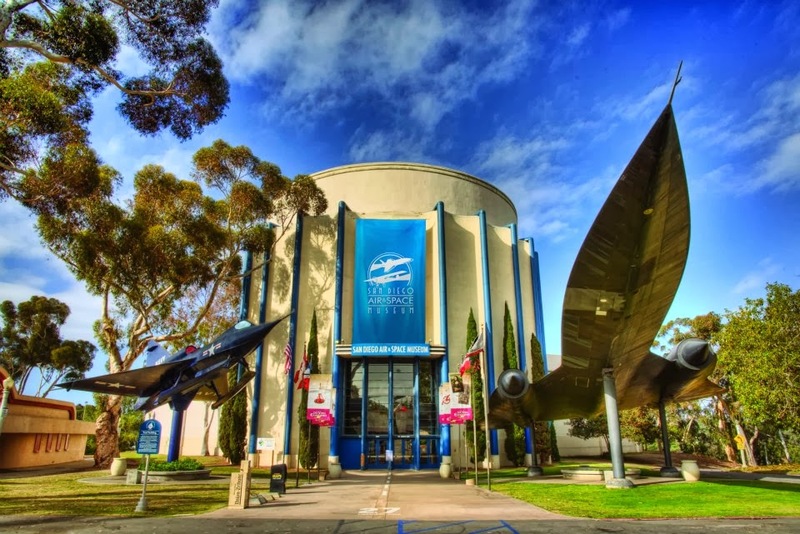 To launch Kids Free in October, the San Diego Museum Council is throwing an event titled "Museum Mash-up" that's open to the public and full of family-friendly festivities to enjoy. It will be held at the Jacobs Center for Neighborhood Innovation from 1-4pm on Sunday, September 29th. 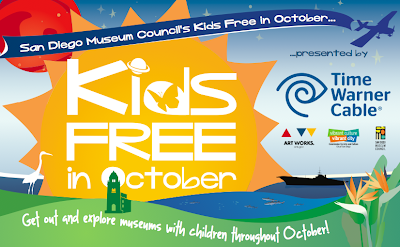 Kids Free in October is presented in partnership with the Kids Free in San Diego Month. During the entire month of October, families with children can enjoy special deals at more than 100 San Diego hotels, restaurants, attractions, museums and transportation companies. Consistently rated one of the top family destinations in North America, San Diego is home to world-class family attractions, including the San Diego Zoo and San Diego Zoo Safari Park, and LEGOLAND California. "Kids Free San Diego" Month offers a variety of "kids free" incentives, ranging from complimentary meals, attraction admission and Amtrak rides to welcome amenities at area hotels and much more. Support for "Kids Free in October, presented by Time Warner Cable" is also provided by the National Endowment for the Arts. • Children 12 and under get in free. • Coupon limited to two children per paid adult. • Does not apply to field trips or special events. 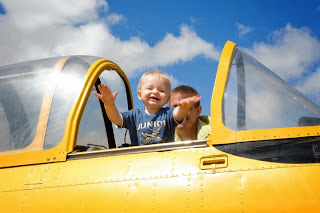 • Children 12 and under must be accompanied by a paid adult during the visit. • Cannot be combined with any other offer or coupon. For more information, visit sandiegomuseumcouncil.org, follow on Facebook and Twitter, and check out the video below!